You want to see wildlife (orangutans) and experience jungle, but you have limited time or you are not the sporty type? Then this one day jungle trek is the best choice for you. This trek takes around six hours, in a slow pace and with many breaks. 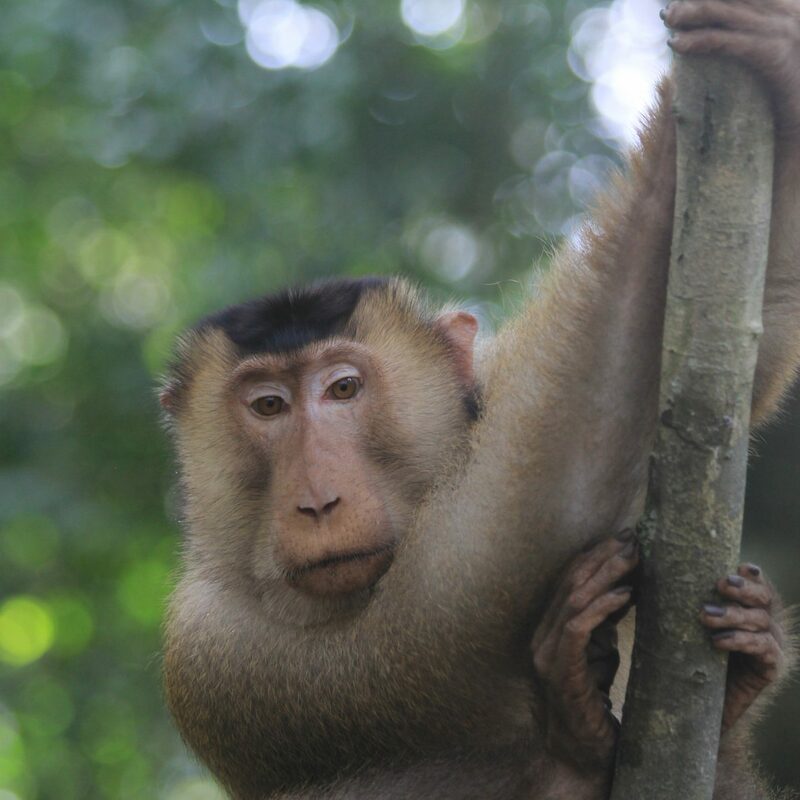 Around 9AM, your English speaking, licensed guide will pick you up from your guesthouse in Bukit Lawang. From there you will walk towards the border of the Gunung Leuser National Park. The walk towards the park is already a great experience. There is a chance to encounter some monkeys, you will pass a garden and a rubber plantation. Your guide will explain about the animals and how rubber is made. Another 10 minute walk will bring you to the entrance of the park. From here you will start your jungle trek adventure. During this 1-day trek you will have a great chance of observing a wide variety of wildlife, which your guide will point out to you. He will explain about all plant species and animals you will encounter in the rainforest. Animals such as orangutans, gibbons, Thomas leaf monkeys, Sumatran Great Argus, pigtail macaques, flying squirrels and hornbills. But you will also see beautiful species of trees and tropic plants. The main goal of this trek is to spot orangutans in their natural habitat. You can watch them play, go from tree to tree and observe them doing everyday activities. Of course you will be explained how orangutans live and survive. This gives you the chance to take amazing photos and an experience of a lifetime. While doing this 6-hour trek, you will get many opportunities to catch your breath, to relax and enjoy the scenery surrounding you. During these breaks there will be fresh tropical fruit as a snack. Half way your trek, your guide will bring you to have a fulfilling lunch in what we call ‘the jungle restaurant’, a place on higher ground which overlooks the jungle. After lunch you will continue your trek for around 3 hours more; looking for more wildlife, more species of plants and trees. You will either make your way back to your guesthouse walking through the jungle or you can choose to be brought back by ‘jungle taxi’ which is tube-rafting down the Bohorok River (surcharge). After a few hours of walking in to the jungle it is possible to return to the village by what we call the ‘jungle taxi’. The river will bring you back while sitting on a big tube. 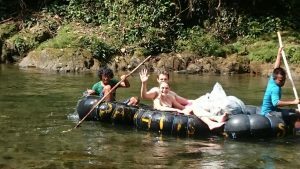 Tube rafting is a fun and exciting way to finish your tour through the jungle.